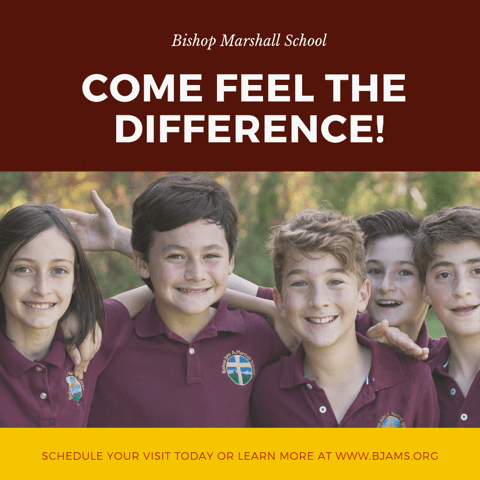 Of the two biggest marketing tools used by Jennifer Nordenson, vice principal/director of enrollment and marketing at The Bishop John A. Marshall School in Morrisville, one is ancient and one is modern: word of mouth and social media. And in between were newsletters: “We used the good ol’ fashioned paper newsletters. We published hard copies of our weekly newsletter, and we sent those home via backpack mail. We would also mail summer information through the U.S. Postal Service,” recalled Head of School Carrie Wilson. But social media is proving to be the most effective. “One thing that most people have on them at all times is a cell phone. By utilizing social media and other technology, we can almost guarantee that people have access to school information, whether that be through our Facebook or Instagram pages or through our website,” she said. The school has many followers on Facebook that are not currently enrolled families. There are people that follow the school because they are interested in it and want to learn more. “It’s an easy and unobtrusive way to learn more without any commitment,” Nordenson said. The school uses social media to showcase students, teachers and the various athletics/art/music/drama productions students are involved in because it helps market the school and keeps grandparents and friends who live out of town engaged in the school community. “It should not be the sole vehicle for school communication, though,” Wilson said. The school’s posts that include students and teachers “in action” are the posts that receive the most engagement and reactions. She has attended workshops that have addressed this shift from Facebook to Instagram as she begins to see prospective Bishop Marshall School parents now of the millennial age group. “We must start to cater to that in our marketing. This was a big reason why I chose to revive our Instagram account this fall,” she said. Nordenson also has had success creating ads using a new marketing video. “Ads are reasonably priced on Facebook, and you can target a specific audience within a specific range,” she said. Asked about the effects of the school’s use of social media, Wilson said she thinks the community has become more engaged. “We need to meet people where they are, and right now nearly everyone is on social media,” she said. “I believe social media is a great way to spread the word about all of the great things we do at BJAMS,” Nordenson said. —Originally published in the Spring 2019 issue of Vermont Catholic magazine.